Charge and sync your devices quickly and safely, using just one cable at the fastest speed possible. 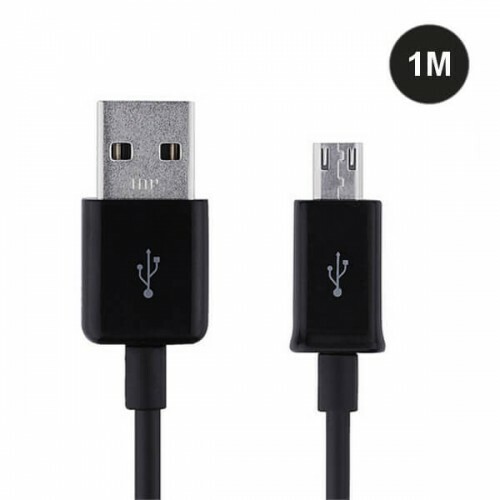 This durable Micro-USB cable works with most Android smartphones and tablets with a Micro-USB port, including Samsung, Kindle, HTC, Nokia, LG, Nexus and Motorola. This Micro USB Cable plugs into any USB 2.0 port, so you can use it virtually anywhere. Connect to your laptop/computer to charge and sync or use your own wall charger to charge from the wall, or plug into a car charger and charge while on the road. • Versatile length for everyday needs. • Plugs into any USB 2.0 port to charge. • Transfer data to/from your computer or laptop. • Syncs music and pictures to/from your laptop quickly.